In the midst of pain, suffering, or confusion, it’s natural to the human condition to doubt God. Some doubt His existence, others doubt His goodness. Are their statements true? Absolutely. But is your doubt really that unreasonable? Not at all. The Bible is busting out the seams with people who have experienced the power and presence of God, first hand, and are still inclined to doubt. But while these giants of faith doubted God, just like you and I sometimes do, they still continued to worship Him despite their unbelief. When their emotions and circumstances clouded their vision, they leaned on truth that had authority. When they couldn’t feel or see the presence of God in their lives, they worshipped Him anyways. 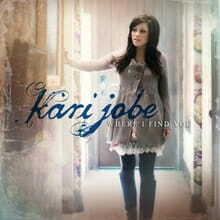 It’s this reality that makes me so grateful for songwriters and worship leaders like Kari Jobe. Her chart-topping song, You Are For Me, puts to music what our hearts so desperately need to cry when in this hazy path of doubt. Though we can’t see Him, His faithfulness to His people, throughout the generations, holds fast. God has never be unfaithful to His people, and He’s not going to start with you or me. Because of this, we can know that God is for us. He is for seeing us persevere. He is for seeing us grow. He is for seeing us bring peace and healing to this world. He is for seeing us molded and fashioned into a generation that brings revival among our people. And when we feel forsaken, when we feel abandoned, He is present even more.